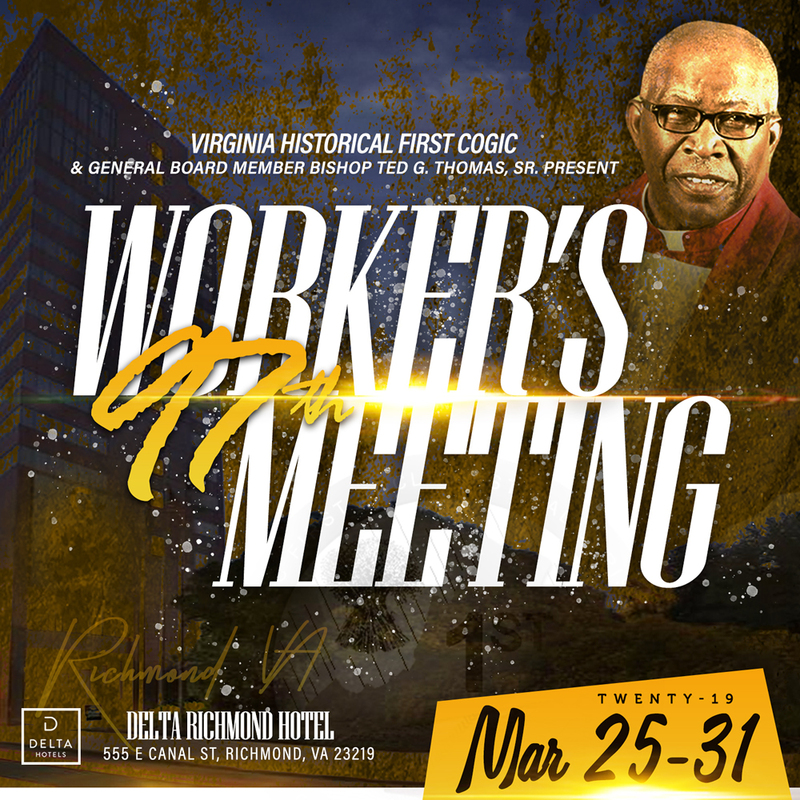 All roads lead to Richmond, Virginia where believers from Virginia and North Carolina will assembly for the 97th Annual Workers and Ministers’ Conference on March 24-31, 2019. The Conference will be hosted at the Delta Hotel by Marriott. Click image below for more details . . . Tags: Bishop Ted G. ThomasChurch Of God In ChristHistoric Virginia First Ecclesiastical JurisdictionJr.Pastor Eugene C. McCownPraise CenterSr.